A Greater Sage-grouse displays for nearby females on a lek (mating ground) south of Pinedale, Wyoming. 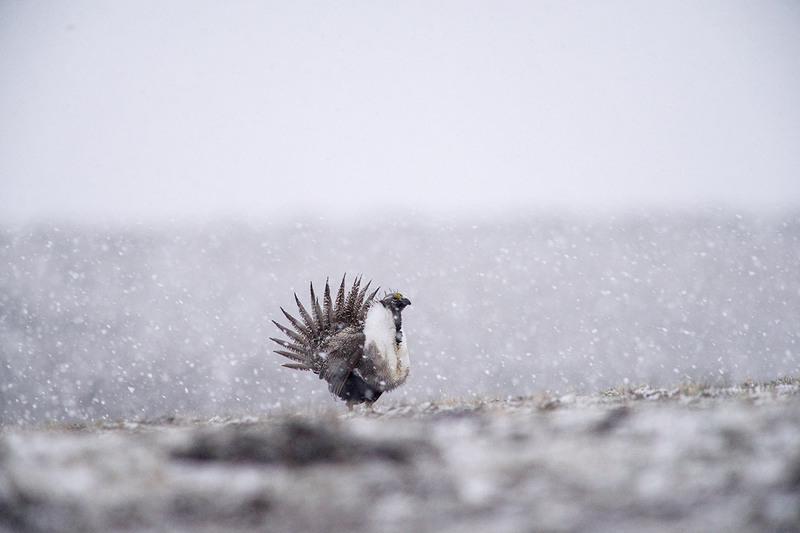 Sage-grouse perform their elaborate display in spring to impress females for the right to mate. The imperiled birds live in sagebrush their entire life-cycle and are a candidate species for protection under the Endangered Species Act. Photo © copyright by Dave Showalter.